Comic Book ‘Rising Stars’ Is Heading To The Big Screen!!! MGM is grabbing headlines today as they add a superhero comic from Top Cow to their list under current movie deals. 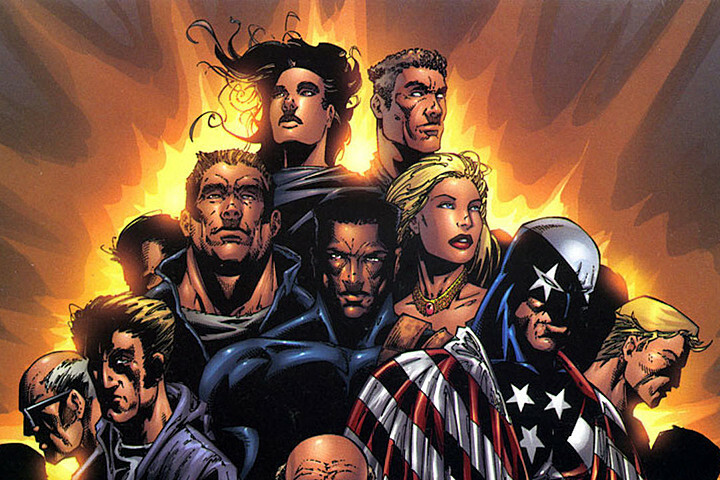 The property that is getting attention is ‘Rising Stars‘ from creator J. Michael Straczynski. Straczynski is very familiar with the process, he was the creator and producer for the award winning ‘Babylon 5‘ series, he worked with Lily and Lana Wachowski for Netflix’s ‘Sense 8‘ as writer and exec producer and for script writing credits, he’s got a decent resume under his belt with ‘Changeling‘, ‘Ninja Assassin‘, ‘Thor‘, ‘Underworld Awakening‘ and ‘World War Z‘. Straczynski will write the script for this project. ‘Rising Stars‘ is a 24-episode comic created by Straczynski and the series focuses on 113 children who were not born yet when meteor hit their hometown in middle America, the event left these children with special powers. Now a number of these “specials” are like anyone else, some embrace their powers and jump into the superhero world, and some want nothing to do with their abilities or with the attention it brings. Atlas will produce, along with Straczynski, a release date, is yet to come. The Trailer For Netflix’s ‘Death Note’ Looks Awesome!!! This entry was posted on Tuesday, June 14th, 2016 at 9:32 pm	and is filed under Comics, Film, News. You can follow any responses to this entry through the RSS 2.0 feed. You can skip to the end and leave a response. Pinging is currently not allowed. « Film Review: ‘Finding Dory’! What happens if he showed up took one look at me and left?